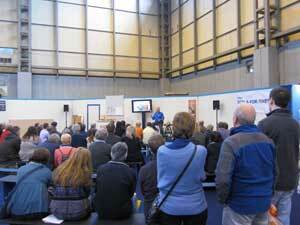 Blog Home > Building Contracts > National Homebuilding & Renovating Show a Great Success! 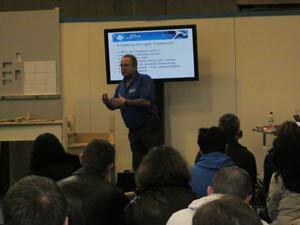 National Homebuilding & Renovating Show a Great Success! With the National Homebuilding and Renovating Show at the NEC over for another year the DIY Doctor team has had a few minutes to reflect on the past few days and have hailed the show a great success! Again, the team would like to thank all the visitors to the show and also the great many that attended the seminar presentations on “How to Skim Plaster” and “How to Avoid Cowboy Builders” held by DIY Doctor founder Mike Edwards at the Tricks of the Trade stage for their feedback. In the short time since the end of the show the DIY Doctor office has received a great many requests for more information on both seminar topics, especially on avoiding cowboy builders. If you would like to find out more about how to avoid cowboy builders and the possibility of them finding their way into your home email office@diydoctor.org.uk with the subject ‘Cowboy Tradesmen’ and we will send you a copy of our very own Desired Outcome Contract. If you would like to receive quotes from insured and reliable tradesmen visit any project in our projects section and click on the “Tradesmen” banner and complete the form. Potential Loss of Life Narrowly Avoided!